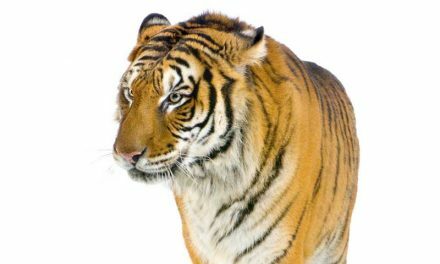 DO TIGERS HAVE ANY PREDATORS? Tigers are very lucky. Hardly any species would dare to challenge an animal with a solid body, imposing height, sharp claws, pointed canines and extraordinary strength. Not for nothing they are considered apex predators, that is, carnivorous animals that are at the top of the food chain in their habitat and feed on a wide variety of animals. Tigers mainly consume herbivorous ungulate mammals, but occasionally include in their diet other carnivorous predators that rival them in size or strength. A very common question about these cats is, from what predators do they have to be aware? Since they are at the top of the food chain, there isn’t much that gets in their way. Of course, we all know that doesn’t mean they have a peaceful existence of they wouldn’t be an endangered species. It is not surprising then that most of the animals in the same size range of tigers prefer to stay away from them. Now, the question still underlies: Do Tigers have to be aware of any animals? What species feed on these cats? Well, typically wild tigers lack natural predators. However, bears, elephants, and big buffalos can become a concern, as they are sturdy and large enough to inflict some damage. 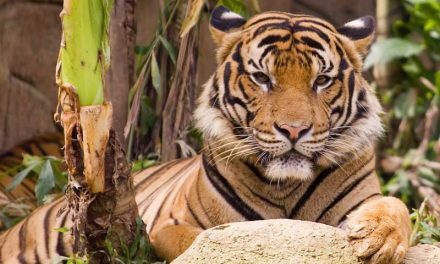 If one of these cats is sick, malnourished, tired, or in any state of vulnerability, it is relatively easy for one of these animals killing them, although they are not predators of tigers, this would be a defensive outcome. Another potential predator of “Panthera tigris” are the Asiatic wild dogs (Cuon alpinus), which are also called Dholes. These canines are capable of harassing or attacking tigers, but that is, only when they work as a pack since a single Dhole would have no chance of surviving a fight against one of these big cats, and even when a pack attacks together, one or more members of the group usually die. The attacks are very rare since the Dholes only manifest aggressiveness towards them when they have to defend themselves as Dholes do not consider Tigers as an easy prey; In these cases, the Tigers usually take refuge in the trees. If one of these encounters happen, tigers can choose to stand and fight with their powerful claws and their sharp teeth, but if they decide otherwise, they usually can outrun these types of animals at least for a short distance. They can also climb trees, and if there is water in the area, they can even swim to safety. 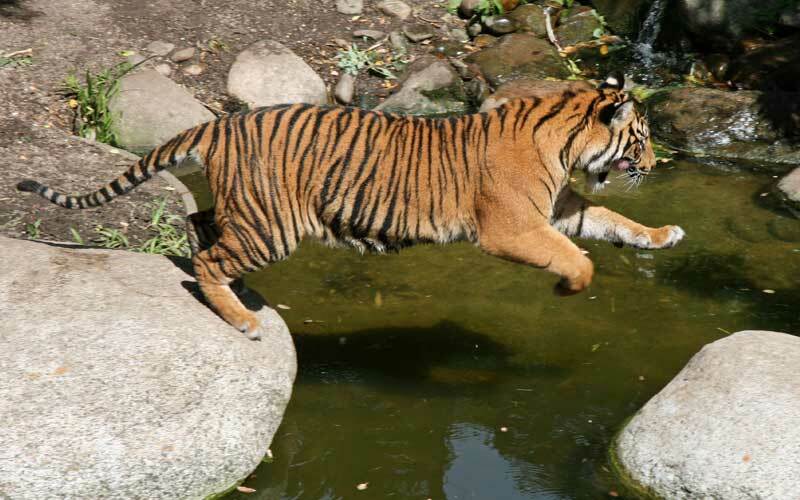 However those animals above are not predators actively looking for tigers to kill, they are difficult prey instead. When one of these cats comes into contact with such animals in the wild, they often try to avoid conflicts. However, the males in their territory are very likely to stand their ground, and with the natural habitat of all animals continuously being destroyed by humans, the chance of these encounters is more probable than they were in the past. Most of the time when Tigers stand their ground against such animals is when they are protecting their offspring which can turn out to be a very dangerous situation. The female will protect her cubs, but by doing so, she may end up getting killed herself. Then that means the offspring are going to have a very slim chance of surviving on their own, but it will depend on their age. Adult tigers can also become potential predators of puppies. When the male of a territory dies, the new owner of the area usually kills the young descendants of the last owner, to mate with the females available in the area. Tigresses can give birth to a new litter five months after losing their puppies. The females are in charge of protecting the young since the males provide little or no care. They usually consume the feces of their puppies to avoid that the possible predators detect the smell and follow their trail. 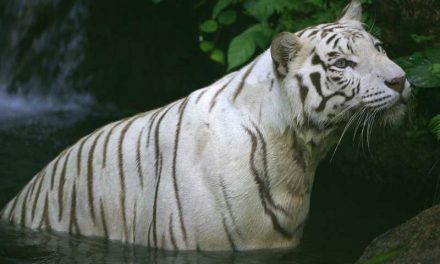 Adults defend themselves with their claws and teeth, and also, unlike other felines, they are excellent swimmers, so water becomes a safe escape route. Tigers are in grave danger of extinction, and not because of wild dogs, elephants, bears or buffalos. No, it’s because of the human, the most dangerous predator. Some people think that the bright and beautiful striped coats of the Tigers look much better in the living room of their houses, like carpets or lining of some household. Even as clothes. Other people believe that bones have beneficial properties for health and consume medicinal items made with them. Humans are responsible for the unfortunate situation of tigers in the wild. From the thousands of specimens that once inhabited much of Asia, only a tiny part of them remain. Three species became extinct only in the 20th century, and the remaining six are in danger. Hunting them for sport, to meet the demand for health products, or for any other reason, make humans their greatest threat, but other human activities also represent severe dangers to them. Since we are the biggest predators and threats to tigers, the solution for their future lies in our hands. We have the power to change what has been taking place for centuries. Also, we have the technology at out fingertips to help these cats to mate successfully. But above all, we have to take the responsibility to continue protecting their natural environment rather than just expecting them to survive in captivity. 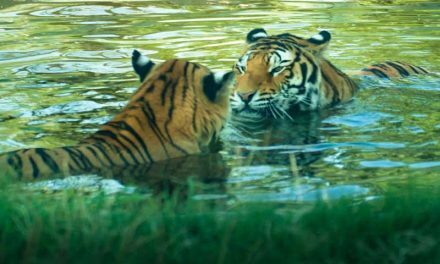 Hopefully, as more people has information about the Tigers and what is happening to them, they will make a conscious effort to change things. Considering that Tigers do not have many predators to worry about in their natural environment, we owe them to get things back in balance. We have to stop clearing out forests, blowing up mountain areas to make roads or to harvest minerals, and we have to stop the unnecessary hunting and poaching of these animals so that they will have a chance to thrive once again.